Are you age 50 and up? Are you experiencing reduced vision? Macular Degeneration (MD) is Australia’s leading cause of irreversible blindness. When light rays enter the eye through the cornea, pupil and lens, these light rays are focused on the retina, a light-sensitive tissue that lines the back of the eye. The retina converts the light rays to electrical signals, which are sent by the optic nerve to the brain. The brain interprets these signals as the images we see. The retina has two areas: the macula (a small area at the center of the retina that gives you your fine, pinpoint vision and allows you to see detail clearly) and the peripheral retina (the large area surrounding the macula, responsible for your peripheral or side vision). The macula allows you to read, drive, recognise faces, see colours and perform all activities that require fine, detailed vision. Macular degeneration is caused by deterioration of the macula. When the cells of the macula deteriorate, images are not received correctly. 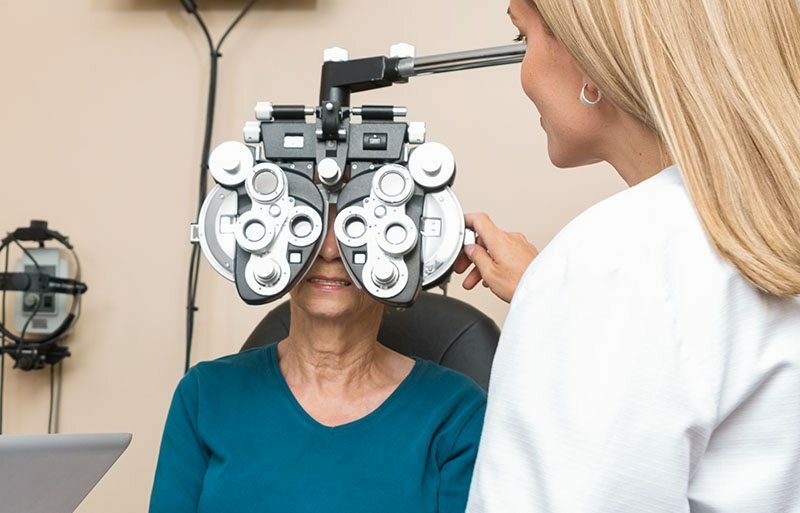 In its early stages, macular degeneration does not affect vision, but as it progresses, one may notice visual symptoms like wavy or blurred vision. 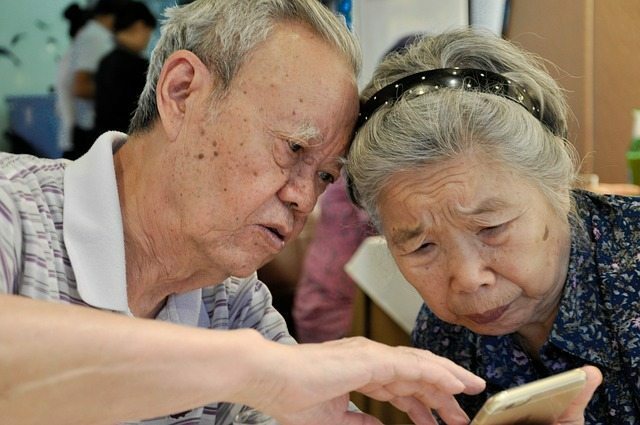 As the condition worsens, central vision may be completely lost. However, peripheral vision is not affected. Macular degeneration is a painless but progressive eye condition that causes loss of central vision, usually in both eyes. Thus, regular eye exams are important as the earlier MD is detected, the better the visual outcome. Was it ages since your last eye check? Book an appointment now! Dry Macular Degeneration is characterised by accumulation of debris under the retina called drusen. Overtime, this accumulation could lead to scarring or thinning of the retina. Dry MD is the most common type of MD, develops more slowly, is less severe, with no associated leakage. But it can progress to wet macular degeneration. 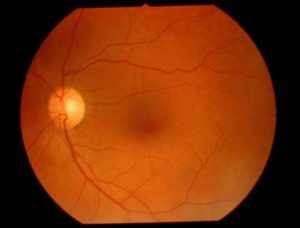 Wet macular degeneration happens when abnormal and leaky blood vessels begin to grow into the retina and cause swelling or bleeding into the retina. As fluid is leaked, wet MD may cause gradual or sudden loss of vision. Wet MD may develop in patients with the dry form of MD. Wet MD is less common, develops rapidly, and is more severe. A sudden drop in your vision. You will need to see your optometrist immediately if this develops. Our optometrists often diagnose MD for the first time during a routine, comprehensive eye exam which may involve Dilating Eye Drops. These drops allow for a better view of the retina. However, we advise you not to drive for a couple of hours after they’ve been put. 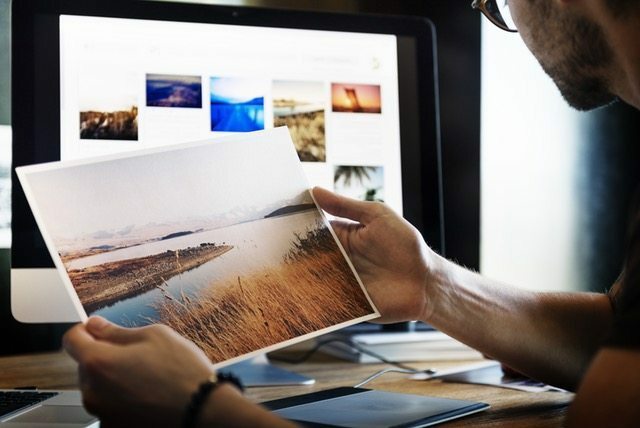 Digital Retinal Imaging is commonly used to provide a detailed image of the retina and provides a record for future comparison. 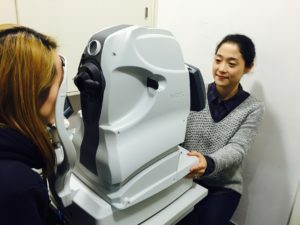 Optical Coherence Tomography (OCT) is now routinely performed on patients with MD as it produces cross-sectional images of the retina to allow us to detect subtle damage in early to late MD. Amsler Grid is a very simple test that can be done at home to monitor for any change. 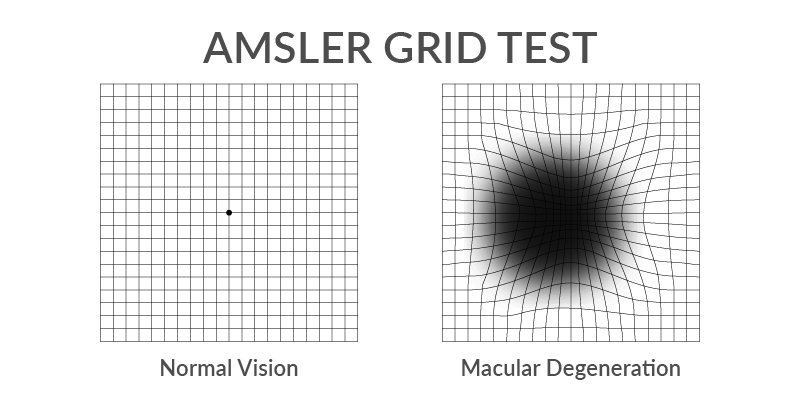 There is also an Amsler Grid Eye Test app available for free download via the app store. Download HERE. Presently there is no known cure for macular degeneration, but you can do some things to lower your risk. If you have early macular degeneration, there are ways to help slow down its progression and prevent blindness. Vitamin C – Found in citrus fruits, papaya and rockmelon or vegetables like capsicum, peas and broccoli. Eat a healthy well-balanced diet. Include fish at least two times a week and include dark green leafy vegetables. Eat fresh fruit every day, a handful of nuts each week. Avoid fatty foods. When was your last eye exam? Let our optometrist check your macula today.